What Factors Determine the Cost of Hair Transplant Treatment? We do recommend an evaluation performed by Dr. Robert J. Dorin or Dr. Robert H. True to determine the exact size of treatment, advise as to which hair transplant method (FUE vs FUT) will be most effective, design your hairline and pattern, and ultimately provide specific fees associated with your personalized treatment plan. FUE is more expensive than FUT due to its specialized and laborious nature. Dr. Dorin and Dr. True perform every extraction exclusively. This is often not the case with other FUE approaches. The price range for an initial hair transplant contingent on size and method is $5,000-$20,000. On average, we recommend treatments in the range of 1,000 - 3,500 grafts as specific to the patient's needs and goals. As an independent practice, we don't pass along the cost of overhead that comes with larger chains. 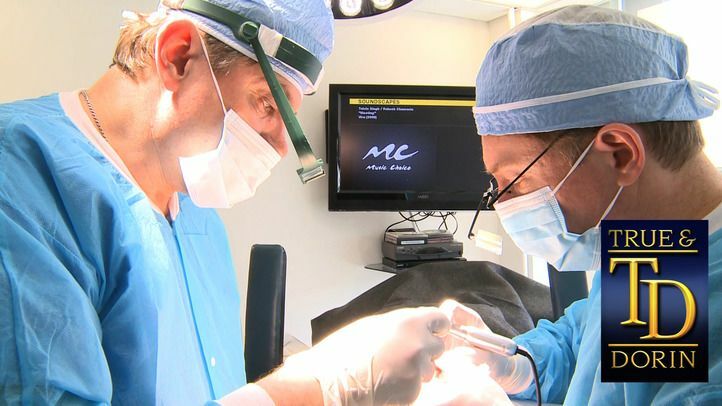 We do, however, invest in technologies and advancements in the field that allow our doctors and staff to stay progressive and consistently create state-of-the-art hair transplant results. While offering the most advanced technology and approach currently available, we remain committed to quality and value. Our patients tell us they consider their hair transplant fees to be some of the best money they have ever spent. Who is the physician that is going to personally perform your hair transplant? What is his or her experience and qualifications? What is the experience of the staff that are part of the doctor's medical team and are they full-time? Is the most current technology and technique being offered? What will be the short AND long-term costs of the restoration? What do the results look like in person as well as in a portfolio? To learn more about the cost of our procedures and how our treatment options can help you accomplish your goals, please send us an online message or call us at (866) 629-0866.